See if you've got what it takes as a Starship Captain, using your skill and concentration to steer your craft through endless deadly asteroids belts. 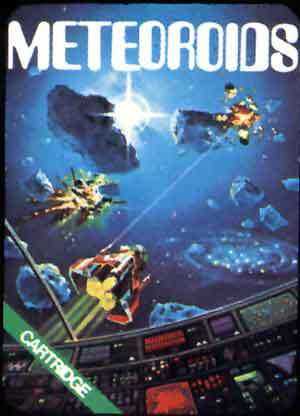 Yes you guessed it... it's an 'Asteroids' clone and quite a good one too. Intro screen and in game play screen shot show. 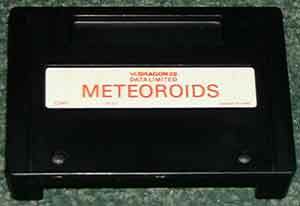 Interestingly the into screen appears in the TRS-80 version of the game and in Dragon Data brochures but does not appear to be in the archives copy of the game. Please note the in game screen shot is taken from the TRS-80 and the colours are different.